Hokulani Golf Villas 27 has the TMK 2-2-2-24-35-27 and the street address is 699 Hihimanu Street. It is located straight up from the entrance gate on the right side in the upper, more quiet portion of the complex. The master bedroom as well as the kitchen and living area are south facing over the golf course with some ocean views from both levels. 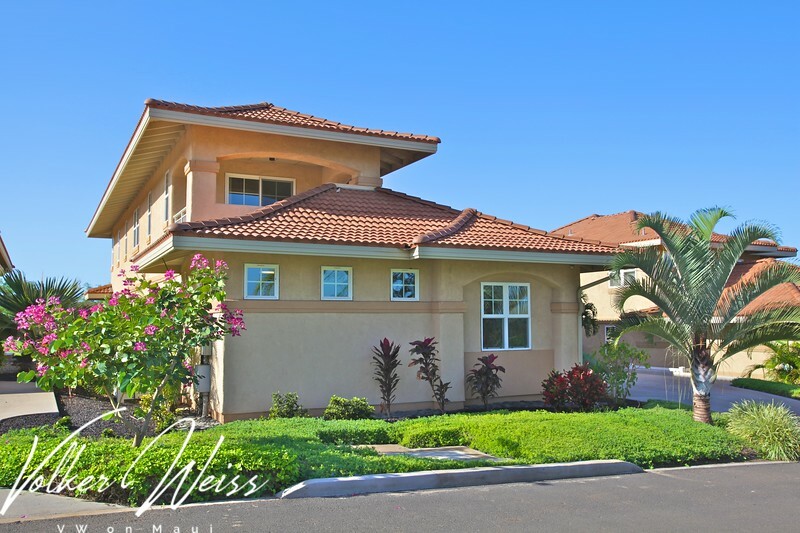 This two-story Kihei Condo offers 3 bedrooms with 2.5 bathrooms and 2429 square feet of living space, including the standard two-car garage at Hokulani Golf Villas. And like all of these Kihei Condos, it does feel much more like one of the Kihei Homes. Hokulani Golf Villas 27, Kihei, Maui, Hawaii. Kihei Real Estate and Kihei Condos, including Hokulani Golf Villas in South Maui are viewed best at 1MauiRealEstate.com.